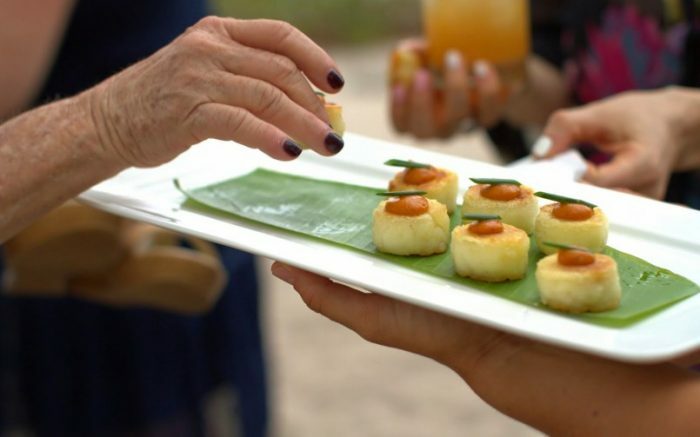 Costa Rica's finest personal chef, special event and wedding catering services. With a wealth of culinary expertise and a surplus of inspiration, we bring our tranquil elegant dining experience right into your home. Our chef's delicious and artistically presented dishes are perfectly complimented by our professional service and thorough attention to detail. We source the freshest produce, fish and meats and then prepare your favorite meals right in your kitchen and served to your table. We leave you with a full stomach and a perfectly clean kitchen. There are two reasons why Soma remains the first choice for food conscientious couples. We are hopelessly passionate about food and we love catering weddings! Our efforts in the kitchen are further complimented by working with the country's top wedding coordinators. They'll organize every detail so that you can relax and enjoy your day, knowing that your wedding will be handled by the finest professionals in the business. Beyond helping fledgling restaurants get off the ground, we can use our expertise to pull ailing restaurants out of the red by streamlining operating procedures, cutting food costs or rebranding to attract a larger or different clientele. Our team specializes in all aspects of a restaurant operations and fully understand the components of a successful restaurant. Restaurants fail because they’re underfunded, poorly planned, or mismanaged. Before launching a new restaurant, we help to ensure the concept is viable for a particular market and that it’ll generate the numbers required to keep operations up and running. Beyond helping fledgling restaurants get off the ground, we can use our expertise pull ailing restaurants out of the red by streamlining operating procedures, cutting food costs, or rebranding to attract a larger or different clientele. Our team specializes in all aspects of restaurant operations and fully understands the components of a successful restaurant. We provide nearly 20 years of experience in the food and beverage industry and firm understanding of both back and front of the house operations. Our chefs, exercise exceptional creativity to bring your guests incomparably fresh, flavorful gourmet fare that also happens to be really good for them. Our meal plans can be customized to any occasion. Chef Jim has developed his “fitness first” culinary skills working directly with some of the world’s top trainers, and as personal chef to well known athletes and celebrities, to develop high energy meal plans that offers not only great nutrition but also great flavor. We provide full-service dining experiences with haute-cuisine flair without weighing you down. He is currently working on his first cookbook. There are two reasons why Soma remains the first choice for food conscious couples. We are hopelessly passionate about what we do and we’ve got the track record to prove it. We also understand the importance of your wedding day and aim to impress both you and your guests with our creativity, professionalism, personal attention to detail and incredible cuisine. We’ll work directly with you to create the wedding menu of your dreams using only the finest local and seasonal ingredients. Besides what we are serving your guests, we’ll also need to decide how we are going to serve it to them. We provide a full range of service option including, traditional plated dinner service, chef-manned stations, elegant buffets, small plate “tapas” style service as well as seated buffets a.k.a. “family style”. Our efforts in the kitchen are further complemented by working with the country’s top wedding coordinators. They’ll organize every detail so that you can relax and enjoy your day, knowing that your wedding will be handled by the finest professionals in the business. Wedding Planning Tip: December through April is our “dry season” and also the most sought after months for weddings. So be sure to book ahead. 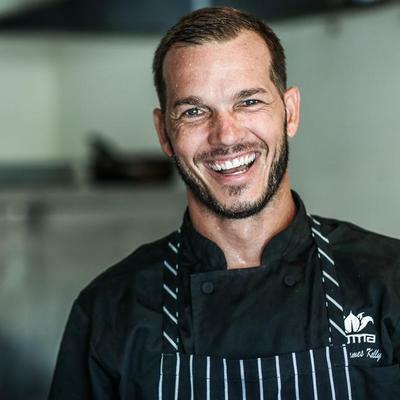 James Kelly, Executive Chef/Owner of Soma Chef Services, is a Southern New Jersey native who relocated to Costa Rica nearly a decade ago. Jim’s been refining his culinary and hospitality skills since his first restaurant job at the age of 13. He has trained and worked side by side with some of the most innovative chefs in the industry from the beach towns of the North East to Southern coast of California. Jim’s hopelessly obsessed with food and is happiest when he’s in the kitchen. When he’s not, he’s probably visiting organic farms, hanging around barefoot gourmet, on the beach with his family, or out surfing. Chef Matty has been an integral part of the Soma team since 2011. Matt studied classical French cuisine at Stratford Chefs School in Stratford, Ontario, under the guidance of European trained instructors. He loves Italian cuisine, but his main focus is has always been ingredient driven dishes that excite the palate but still maintain the integrity of said ingredients. 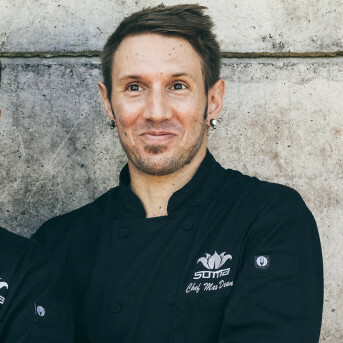 Before joining the Soma team Matty worked under Chef Wayne Martin in Vancouver, opening 2 restaurants as head chef and entre’ metiere’. He was also employed by Oak bay marine group 2 seasons and worked Head Chef for West Coast Resorts 3 years. Since teaming up with Jim in the kitchen the two have been innovating and working together to create some of the most delicious food in Costa Rica. Chef Chelsea Turner believes that cooking and eating should be fun and exciting! She has an advanced diploma of Culinary Arts from Dubrulle Art Institute of Vancouver, and worked for one of the most the high profile restaurant groups in Canada, The Glowbal Group. With her classic french training, mixed with her laid back surfing lifestyle, and available Costa Rican ingredients, she’s shaped a style of her own. Something like a coastal flair, mixing fish, seafood or local meats, with fresh herbs, seasonal vegetables and world spices. She loves to read and is constantly learning about new and interesting cooking techniques. I believe that all great dishes begin with the finest ingredients and have spent over a decade traveling throughout Costa Rica seeking the greatest product this amazing little Country has to offer. By connecting directly with our producers, I can be confident that the food that we purchase is not only delicious, but also ethically grown and raised under as close to optimal standards as possible. Fresh foods grown locally, organically and sustainably offer far superior flavor as well as peak nutrition. This is the foundation upon which we build every menu. As a Chef with a serious commitment to surfing and an active lifestyle, health and nutrition are extremely important to me. I am always seeking to create new and exciting dishes that not only taste great, but that will also leave you feeling equally great as well. I love reinventing and lightening up the classic dishes and throwing in whole organic grains whenever possible. That’s not to say that we skimp on the sugar in our desserts, but we use only unrefined, organic sugar from trusted local producers. Our cuisine is nutritious without sacrificing any flavor. I am hopelessly food obsessed and a true believer in the power a great meal can hold. I recognize food as a great vehicle to bring people together and feel that every meal should be a celebration. Funny, we had to travel over 2200 miles, in 2 planes and three cars to get some of the best food we’ve ever tasted, and we live in NEW YORK! You served the most beautiful and amazing food, especially the incredible chocolate wedding cake to top it all off!! Your professional control of the entire meal allowed us to all relax and enjoy our daughter’s wedding, We enjoyed a total all-out celebration with you and your staff in charge. Each dish was a delicious experience and the presentation was a complete delight! Your friendly and sincere care set the pace immediately and we’ve been singing your praises to everyone. 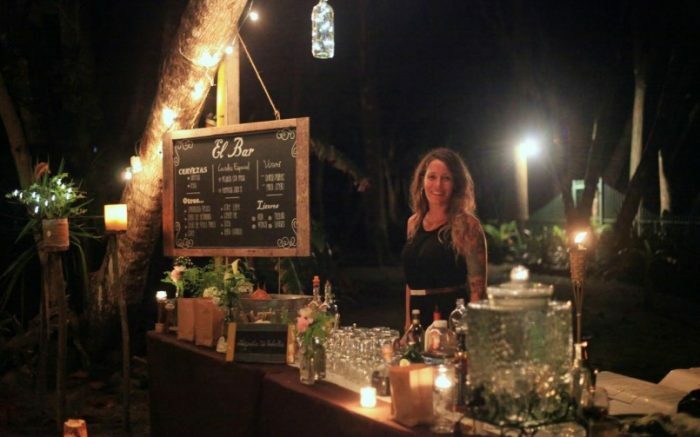 Any couple lucky enough to be getting married in Costa Rica is guaranteed an unforgettable event in your capable hands. With much appreciation and anticipation that we will be celebrating more events with you in the future. You ARE the ROCK STAR of catering!!!! We all love you. Creative and fun are two words that not only describe James Kelly as a person but also his cooking style. James has been cooking for us in Costa Rica for years and is still able to surprise us with his original dishes. Our health is vital to us and having James’s clean and healthy cooking keeps us at our best. He is able to modify his cooking for any need and his patient persona meshes seamlessly into our lifestyle. From the moment our travels take us away from Costa Rica we look forward to returning to James Kelly’s exquisite cooking. No other cooking can compare. As the manager of Sandy Lane Estate in Santa Teresa, we have had nothing but exceptional catering experiences with Jim and his staff. 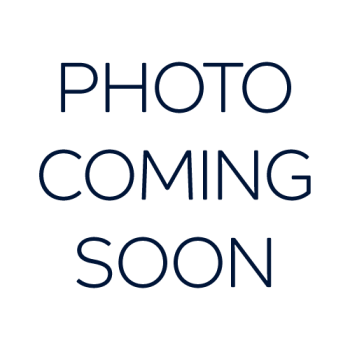 Our clients have all raved about Jim’s culinary creativity, personal warmth and professionalism. It’s always a pleasure working with him and the dinners prepared by Jim are always the highlight of our guests’ visits to Sandy Lane. Thank you thank you thank you!!!!!!! You, Billy and the girls were absolutely incredible. The food you prepared for our wedding was outstanding. I think you blew everyone away!!! From the menu, to the prep, to your professionalism, to the service A+++++. It was so much more than we could have ever imagined down in the OSA of Costa Rica. Thank you again for everything. We think you are amazing.